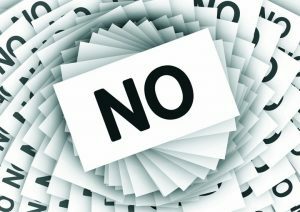 No matter how persuasive you are, sometimes a customer or manager is going to say, “No.” If that happens, don’t give up. Countering objections starts before you even meet with the person. Part of succeeding at persuasion is anticipating objections and deciding how you will address them. When you are preparing your presentation, allow time to brainstorm all possible objections that might arise. The more time you spend here, the easier it will be to handle them during your meeting. Decide how you will respond to each objection. Generally, you want to focus on the benefits of your product or service that mitigate or eliminate the objection. For example, if you know that cost will be a problem, prepare a cost-benefit analysis that justifies the expense. Keep in mind, most people make buying decisions based on their emotions, which you communicate with the benefits offered by your product and service. Focus on what the person gains and what they avoid with what you offer. The stronger the benefits, the easier it is to overcome objections. If you hear an objection, probe for the reasons. Price? Service? Product features? Ask leading and open questions to dig deeper for the source of the objection. Listen closely to what you hear and avoid becoming defensive. As I teach in my Getting Results Through Influence and Persuasion workshop, fully understanding an objection gives you ammunition for countering it. When you believe you understand the issue behind the objection, ask for confirmation that you are correct. Even if the person agrees that you understand, ask if there’s anything else. This may open a new line of inquiry that reveals additional reservations you must address. If you are unprepared to counter an objection, ask if you can return after you do some research. No one wants to hear a rejection or objection. If this happens to you, be prepared to address it and know how to respond. 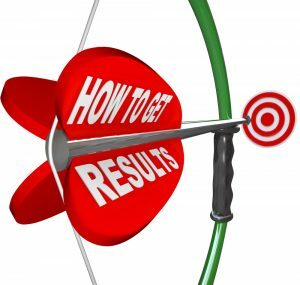 Check out my Getting Results Through Influence and Persuasion workshop for more information. Most of us arrive at the office in the morning ready and willing to get things done, and then things happen to get in the way of being positively productive. Some days we crawl out of the office at night, feeling as if we have accomplished nothing. Here are some quick tips to help you focus on productivity throughout the day. End the workday with a plan for the next day. Before leaving, spend the last 15 minutes of the day deciding on your most important activities for the next day. Prepare any files, documents, or research you need, so it is readily available when you arrive the next morning. Discourage interruptions. When you are interrupted, it can take up to 20 minutes to regain your focus! Remove your guest chair or pile things on it so visitors can’t sit. When someone tries to interrupt you, be assertive, explain that you are in the middle of something and will call them when you are finished. Put a “Do-Not-Disturb” sign on your door or cubicle entrance. Turn off your phone ringer and email notification. See my blog post Take Charge of Interruptions. Schedule your time for your highest priorities, but don’t over-schedule. You can quickly become derailed if you book up your entire day. You cannot eliminate interruptions, but allow time to handle the ones you can’t avoid. Create momentum by batching or bundling activities. For example, if you set aside time each day to read and respond to emails, you will do this activity faster and more efficiently than if you respond to emails as they arrive. By focusing on a single activity for a given amount of time, you get into a groove and accomplish more. This tip alone can put more time in your day. Get rid of clutter. Every time you must look through a stack of paper or scan your computer desktop or email inbox looking for something, you lose productivity. This type of disorganization also drains your self-esteem and reflects badly on your professionalism. If you have clutter, either in your physical workplace or your electronic workspaces, take some time each day to get rid of it and impose order on your work. See my blog post Eliminate Clutter for more information. Start implementing just one of these tips and when it becomes a habit, introduce another. Before long, you’ll leave work at the end of the day knowing that you have been positively productive! Need more help with organization and productivity? Check out my GO System program. Most people view workplace politics as something to be avoided since it can be manipulative and even unethical in practice. However, workplace politics is not inherently bad; its bad reputation comes from how people use it. In fact, if you want to succeed as a manager and leader and be positively productive, you must understand how things get done and who has the power to make things happen. Politically savvy leaders know what power they have, when to use it, and who to rely on for support. They understand how to navigate the organization, accomplish goals, and deliver results. Here are some tips to help you in the political arena. Get to know the people you manage. What motivates them? How do they prefer to work—alone or on teams? Cultivate their strengths and strengthen their weaknesses. Form mutually supportive relationships with your peers. Look for ways you can support others and offer guidance, advice, and assistance. Pay attention to the decision makers in your company and learn how they exercise their influence within and outside the organization. Plan your career two or three steps ahead and find out what you need to do and who you need to meet to reach your professional goals. When you make a mistake or misstep, apologize, fix it, and analyze the situation to determine what went wrong, so you can avoid the same pitfall in the future. Be considerate of how you communicate. Think about the effects of your words before you speak. How will people respond? Is there a better way to express yourself? Be positive and upbeat. Generally, those who exercise negative politics—the gossipers, the back-biters, the manipulators—have a negative reputation around the office. Position yourself on the opposite side by always being courteous and pleasant and refuse to be sucked into their petty games. Start thinking about office politics as a positively productive means to achieve organizational and professional goals. Understand how it works in your organization and use the information to improve. Check out my newest program Getting Results through Influence and Persuasion for more help. 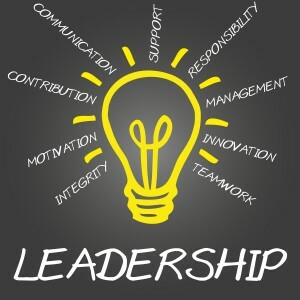 Now is the time to develop your leadership skills, especially if you are a Millennial since 75% of the workforce will be dominated by this generation in the coming decade. This upsurge will be led by the retirement of millions of Baby Boomers and too few Generation X employees to take their places. More and more, business will tap into the Millennial population to fill leadership roles. Here’s how you can prepare for the future starting now. 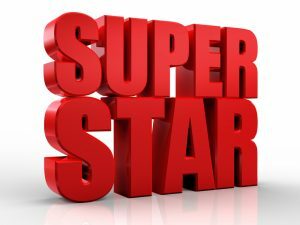 Become a star performer. Leaders consistently go above and beyond what’s expected. Show initiative by volunteering to serve on or lead teams, demonstrate your expertise by asking smart questions and giving savvy answers in meetings, and learn everything you can about the organization’s mission, values, and objectives. Become known. Networking inside and outside your organization is a key factor in being recognized as promotional material. You want to be top-of-mind when an opportunity comes along. Reach out to your counterparts and colleagues and get to know them as people. Join industry groups, both live and online; LinkedIn has thousands of special interest groups. Participate in discussions, attend meetings, and be visible. Cultivate empathy. There are many aspects of emotional intelligence, including empathy. Experts on leadership believe that the ability to have and show empathy is a key leadership attribute. Empathy is not sympathy; it is the ability to step into another’s shoes and feel what they are feeling. You accept where they are coming from and who they are without judgement. Your leadership opportunities may be a few years away, but it’s not too early to start preparing yourself and honing your skills to take advantage of them when they come. For more information, see my blog post Workplace Relationships and Leadership.